A whole new take on the ultra Dutch game of minigolf with indoor glow in the dark miniature golf. Glowgolf Scheveningen is an exciting indoor underwater themed glow in the dark 18 hole miniature golf course with lots of exotic fish, pirates and other scoundrels. You play 18 holes in the dark but there is enough light as the whole play area is illuminated by black light fluorescent lamps. Everything gives off highly energetic ultraviolet light: the golf holes, the obstacles, handpainted walls, the floors and of course the golf clubs and balls. The aim of the game is still to use as few strokes as possible to get the ball in the hole. It takes about 50 minutes to play 18 holes. Groups of four to five people are allowed to play a hole. 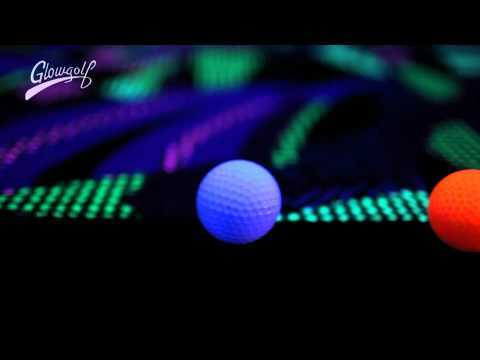 Glowgolf is an adventurous and challenging golf game for everyone from 4 to 100 years old. GlowGolf is an indoor activity located in the Palace Promenade Scheveningen and can be played all year long. Palace Promenade Scheveningen is the ultimate spot for beachside shopping! The indoor shopping centre on the boulevard offers shopping, delicious food and entertainment seven days a week. You can enjoy shopping here at various clothing stores, but there are also amusement arcades, a bowling centre and other attractions. And if you feel like having a delicious bite to eat, there are plenty of lunch rooms and restaurants to choose from. Perfect if the weather is bad during a day at the beach!